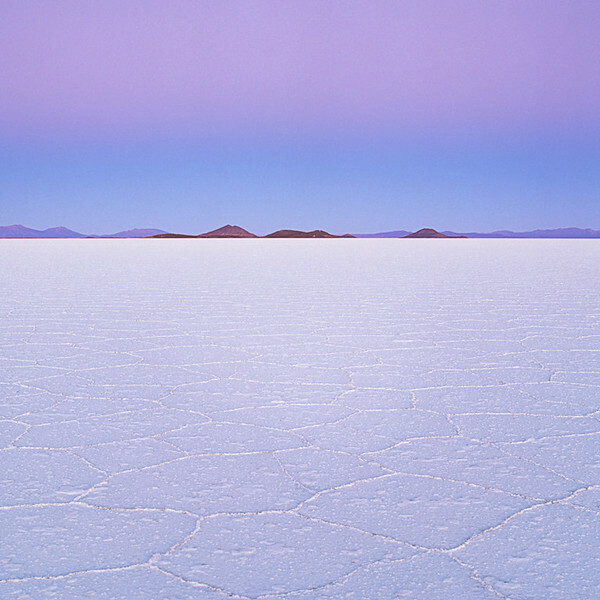 Bolivia’s Salar de Uyuni is one of the most remarkable vistas in all of South America. Covering more than 10,500 square kilometres at an elevation of 3,656 meters, it is the world’s largest salt flat, left behind by prehistoric lakes evaporated long ago. The meters-thick crust of salt extends to the horizon in all directions, and is covered by quilted, polygonal patterns of salt rising from the ground.